You choose managed investments because you want experts making decisions about your portfolio. And because you’ve got better things to do with your time. But even finding the right investment managers can be hard work. Different investment managers perform well in different market conditions, and no single manager ever stays on top for long. So how do you choose which managers are right for your portfolio? Alpha Fund Managers actively manage your portfolio so you don’t have to. We research and select investment managers from around the world, and combine them in our sector specific portfolios – the Alpha Fund Series. We have a deep network and are actively engaged in the market to identify the latest products, structures and investment research to ensure each portfolio is optimised. We have demonstrated success in delivering consistent returns across different market cycles. Portfolios constructed with a mix of unique investment styles and strategies that aim to achieve optimal risk adjusted returns and outcomes. Steppenwolf is a specialised CTA (Commodity Trading Advisor) based in Switzerland and been recognised with a number of awards in the hedge fund industry. The Systematic Intelligence Strategy is a diversified 100% systematic portfolio with four core investment strategies in Equities, FX, Interest Rates and Commodities. The strategies are dynamically weighted, allowing complete de-allocation from an asset class and avoiding over fitting and a pre-established bias. All Strategies are lowly correlated to each other, supported by the use of fundamentally different economic theories. Allan Gray's investment philosophy is simple – to invest for the long term. They never try to guess external sentiments, the next share price movement or trends. Instead, they scrutinise opportunities that aren’t necessarily ‘obvious’ searching for value in places others overlook or undervalue. Then they determine the things that drive the company’s performance and hence its value over the next five or even ten years. This is how they’ve been investing in Australia for the past 11 years and globally for over 40 years. 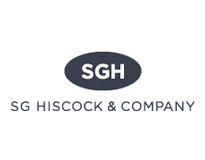 SG Hiscock & Company is a multi award-winning boutique fund manager based in Melbourne, Australia specialising in Australian Equities and Property Securities – including Australian and global REITs (Real Estate Investment Trusts). SG Hiscock’s investment philosophy is based on the belief that the market incorrectly prices emerging companies due to agency factors and institutional liquidity constraints. Their investment approach is style neutral and is based on a three-stage value-active investment process which takes into account fundamental security analysis, qualitative assessment of company management and industry structure, and technical analysis. Supervised Investments Australia is driven by a philosophy best summed up as “conservative opportunism”. This comprises a fundamental research driven approach with substantial risk articulation and management practices. The philosophy has been refined over many years and prospered through many market cycles. Smarter Money Investments Pty Ltd (SMI) was founded in 2011 to focus on absolute return fixed-income strategies. SMI is 50% owned by its investment team via Coolabah Capital Investments Pty Ltd with the remaining half held by SMI's strategic retail distribution partner. SMI is an active manager with a proven track-record of delivering superior risk-adjusted returns in the liquid cash plus & short-term fixed interest asset-classes through bottom-up & top-down quantitative pricing capabilities and relentless qualitative due diligence. 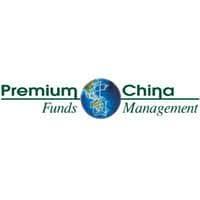 Premium China Funds Management (“Premium”) is a boutique funds management group providing specialist Asian equity and fixed-income funds to both Australian and New Zealand investors. Capturing the growing economies and influence of emerging Asia, Premium has developed 4 actively managed funds - the Premium China Fund, Premium Asia Fund, Premium Asia Property Fund and Premium Asia Income Fund. The funds are managed by a large and experienced team with offices in Hong Kong, Shanghai and Singapore. The directors and investment managers of Premium and its fund offerings have extensive knowledge in Asian equity and credit markets, wealth management, and other financial services. 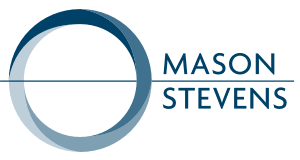 Mason Stevens was formed in 2010 now having a national footprint with over 50 staff and a number of services including investment solutions. They have an active approach and focus on regular income and capital stability. The fund invests in high quality global securities and has a track record of low volatility and strong returns. 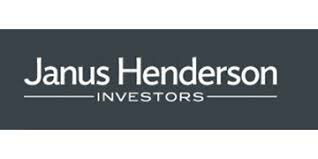 Formed in 2017 from the merger between Janus Capital Group and Henderson Global Investors, Janus Henderson are committed to adding value through active management. They offer a highly diversified range of products, harnessing the intellectual capital of some of the industry’s most innovative and formative thinkers. Their expertise encompasses the major asset classes with investment teams situated around the world serving individual and institutional investors globally. The business has approximately $474.1bn in assets under management, more than 2000 employees and offices in 27 cities worldwide. 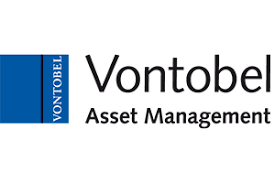 Vontobel Asset Management is an active asset manager with global reach and a multi-boutique approach. Each of Vontobel’s boutiques draws on specialised investment talent, a strong performance culture and robust risk management. Vontobel’s commitment to active management empowers them to invest on the basis of their convictions. They deliver value through the diverse and highly specialised teams who create strategies and solutions covering equities, fixed-income, multi-asset and alternatives investments. The goal of achieving excellent and repeatable performance has been fundamental to their approach since 1998. Perpetual Investments is one of Australia's leading investment managers with $31.4 billion in funds under management (as at 30 June 2017). Perpetual Investments is part of the Perpetual Group, which has been in operation for over 130 years. By employing some of the industry's best investment specialists and applying a proven investment philosophy, Perpetual Investments has been able to help generations of Australians manage their wealth. J.P. Morgan Asset Management is a leading asset manager for individuals, advisors and institutions. Their investment professionals are located around the world, providing strategies that span the full spectrum of asset classes. As one of the largest asset and wealth managers in the world, with assets under management of $1.7 trillion (as of December 31, 2014), J.P. Morgan provides global market insights and a range of investment capabilities that few other firms can match. 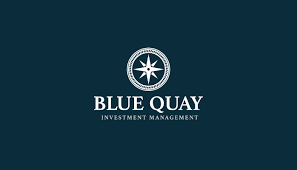 Preserving investors’ capital is Blue Quays Investment Managements (BQIM’s) highest goal. Portfolio Management performs rigorous, bottom-up analysis on each target asset to model the probability of returning its capital in whole, and also interest income, in a timely manner and in different scenarios. The team seeks value opportunities across every part of the domestic credit markets, and focuses on income-generating assets to provide our investors with stable cash flow. They also assess each asset on its secondary market liquidity in certain scenarios. Modelling mark to market volatility of the assets, and spread duration of the portfolio is key to building and managing a portfolio against the individual strategy’s liquidity profile. Bentham Asset Management is a specialist global credit investment manager. Their investment philosophy is based on a strong credit culture and a systematic investment process with a focus on the preservation of principal and protection against downside risk. Through diversified exposure to the global credit market and active management, Betham’s approach seeks to provide more investment opportunities when compared with managers that focus only on domestic fixed income markets. Alexander Funds was established in 2009 to provide retail and wholesale investors with access to opportunities in the fixed income credit markets that they wouldn’t otherwise be able to achieve through larger institutional funds. Orbis was established in 1989 with an investment approach and structure that underpin different long-term thinking. They don’t try to invest like everyone else and look past the headlines and focus on the future, taking advantage of opportunities to buy businesses for less than they're worth. It may be strong companies trading at low prices because they’re perceived as boring, or well performing companies that they believe can do even better. Orbis is privately owned, so there is no external pressure for instant success. Orbis’ flagship Global Equity strategy provides access to their contrarian long-term investment approach - unchanged for over 25 years. It offers better diversity across sectors, geographies and companies than domestic equities, and is actively managed to look very different from the benchmark. With an investment team located around the globe, clients benefit from a truly international perspective. T.Rowe Price is a global asset manager with active, disciplined investment approach rooted in proprietary fundamental research and seeks consistent, competitive performance that balances risk and reward. The T.Rowe Price Global Equity Fund, powered by a global research platform comprising over 200 research professionals, invests in stocks across 30 countries in developed, emerging and frontier markets, bringing the whole world’s most attractive investment opportunities together in one fund. PM Capital Limited, founded in 1998, is a globally-focused fund manager, the goal of which is to build long term wealth by investing in global markets with patience and conviction. PM Capital’s unique process is based on scanning the world for mis-priced companies, discovering the associated valuation anomalies and extracting value from them. The investment team is led by founder and CIO Paul Moore who has over 30 years’ experience in successfully managing investment funds, supported by a team of experienced investment analysts. Lazard Asset Management Pacific Co. (“Lazard”) is a subsidiary of Lazard Asset Management LLC (“LAM”) which managed approximately A$270 billion in assets worldwide as at 30 September 2017. LAM has research analysts in the USA, Australia, Germany, Japan, Korea, Singapore, Dubai and the UK. Lazard is responsible for the management of assets for clients across domestic equities, global equities, fixed income, and alternative assets. As at 30 September 2017, Lazard had approximately A$30 billion in assets under management for clients. L1 Capital is a boutique fund manager established in 2007 by Raphael Lamm (ex Cooper Investors) and Mark Landau (ex Invesco). L1 Capital has been one of Australia’s top performing Australian equity fund managers since inception in August 2007. L1 uses a fundamental, bottom-up research process to identify securities with the potential to provide attractive risk-adjusted returns. The fund aims to achieve lower beta than long-only products and lower portfolio risk than the market. India Avenue Investment Management is a boutique investment management business focused on creating optimal investment solutions for investors by participating in the exciting growth opportunities presented by India’s capital markets. These solutions are constructed by application of India Avenue’s robust investment process, which aims to harness strong returns through the stock picking skills of their carefully selected local investment advisers in India. Guinness is independent and focused purely on investment management. The in-house economic, industry and company research allows Guinness to take an independent view and not be led by the market. Guinness’s size and specialist nature also means they have the ability to responds quickly and efficiently to any market movements. Guinness Asset Management combines strategic sector-selection with a fundamental screening process to identify stock opportunities and is 100% owned by its directors and employees, which helps to align their interests with those of investors. DSM Capital Partners was founded by Daniel Strickberger and Stephen Memishian in February 2001. DSM invests in predictable growth companies and is a bottom-up, idea driven, growth stock firm, with an intermediate to long-term investment horizon. The ten-person investment team combines intensive fundamental research with a rigorous buy/sell valuation methodology that DSM believes reduces risk and enhances long-term returns. DSM’s investment team is characterized by a stable core group of senior investors utilizing a collegial approach. There has been limited turnover amongst team members since the firm’s inception. DSM believes that its stable investment team, consistent research process and logical valuation discipline has created a proven investment process that is replicable in future years. DNR Capital believes a focus on quality will enhance returns when it is combined with a thorough valuation overlay. DNR Capital seeks to identify quality companies that are mispriced by overlaying the quality filter, referred to as ‘Quality Web’ with strong valuation discipline. DNR Capital are high conviction, after-tax focused and invest for the medium-to-long term. Dalton Street Capital is a boutique absolute return investment manager that invests based on mathematically established principle of behavioural finance and rigorous logic. The approach provides investors with strong absolute returns and low correlation to traditional asset classes. The Dalton Street strategy was formulated in 1996 and has delivered positive absolute returns in every calendar year since inception. Dalton Street brings together experienced and talented investment professionals within a partnership model that ensures direct alignment with investor’s interest. China Asset Management Limited (ChinaAMC) was established in April 1998 as one of the first nation-wide fund management companies in China and is now the No. 1 fund management company in terms of mutual funds’ assets under management in China. Total assets under management and advisory by ChinaAMC Group was RMB 963.47 billion (USD 144 billion) as of 30 June, 2016. ChinaAMC provides both domestic and overseas investors with high-quality investment products and services based on professional and rigorous investment research. China Assert Management (Hong Kong) Limited (China AMC (HK)) is a wholly-owned subsidiary of ChinaAMC to strategically develop the offshore business and enhance its investment capabilities. Since August 2009, ChinaAMC (HK) has started offering offshore funds to Hong Kong and overseas investors. Antipodes Partners is a pragmatic value manager of global equities founded in 2015 by Jacob Mitchell, former Deputy Chief Investment Officer of Platinum Asset Management, together with a number of former colleagues and like-minded value investors. Antipodes’ approach seeks to take advantage of the market’s tendency for irrational extrapolation around change, identify great business that are not valued as such and build high conviction portfolios (30-60 holdings) with a capital preservation focus. AE Capital is a systematic FX fund manager that generates uncorrelated pure alpha. AE Capital achieves this by employing a unique dynamic strategy that adapts to changing macroeconomic themes and market conditions. AE Capital is different to traditional systematic and CTA managers in that they are purely fundamental, combining top-down fundamental market analysis with a scientific approach to produce systematic trading strategies. Maple-Brown Abbott is one of Australia's first boutique investment managers and have managed institutional investment portfolios for over 30 years. The firms specializes in the management of investment portfolios across Australian equities, Asia Pacific ex-Japan equities and global listed infrastructure securities. Current FUM across all strategies is AUD $11 billion. The Infrastructure fund is an actively managed portfolio of global listed infrastructure securities with a focus on regulated, contracted and concession assets or networks that provide essential services. The investment team are highly experienced and aligned to investors holding a large equity stake in the fund. Macquarie is one of Australia's largest equities managers with over 30 years' experience managing portfolios and a global investment team of over 90 professionals located in Sydney, Hong Kong, New York, Boston and Philadelphia. The Macquarie High Conviction team has a structured process to build a portfolio of stocks based on their conviction through proprietary quantitative screening, analyst ideas and market event, and undertakes focused company research to look for companies that have valuation upside with a realistic earning profile. The Australian small companies team utilises a focused process to identify and build a high conviction portfolio of fast growing stocks through proprietary quantitative screening, company research and changing market dynamics. Since its founding in 1899, Legg Mason has evolved into one of the largest asset management firms in the world, serving individual and institutional investors on six continents. Today, Legg Mason is a leading global investment company committed to helping clients reach their financial goals through long-term, actively managed investment strategies. The multi-afﬁliate business model helps their experts focus fully on performance delivery, while the team at Legg Mason provides a single seamless point of contact for solution delivery. Smallco commenced operations in April 2000 and currently manages approximately $700m of funds spread across the Smallco Investment Fund, the Smallco Broadcap Fund and a Broadcap mandate from a family office. The firm was founded by Rob Hopkins and Bill Ryan on the premise that inefficiencies exist within the pricing of smaller companies within the Australian listed securities market. Polaris is a deep value unconstrained global equities manager who invests across the market capitalisation spectrum. Based in Boston, Polaris has a 30 year investment history. The founder of the firm and lead portfolio manager, Bernard Horn, has interesting insights and a strong conviction to his philosophy. The Polaris Global Equity Strategy follows a very clearly defined investment approach, whereby all investments are subject to a proprietary cost of equity calculation which avoids 'false value', and invests only in true value opportunities. The strategy offers investors access to true global exposure through allocation to a large number of countries, including emerging markets, i.e. access to true value, regardless of location. Historically the strategy has demonstrated ability to fully participate in the upside of strong market rallies, while limiting the downside capture, a unique return profile with low correlation to many existing strategies in the market. Magellan was formed in 2006 to generate attractive returns for clients by investing in global equities and global listed infrastructure while protecting their capital. Since then, they have developed a track record for creating and safeguarding wealth for investors. This has been achieved by investing in high-quality global stocks that benefited from some key themes that occurred over of the past decade. The team comprises of 30 highly qualified and experienced investment professionals who manage more than $58.8 billion in global equity and infrastructure strategies for clients based around the world. PIMCO is a leader global investment management firm with more than $790 billion in assets under management as of 30 September 2008 and more than 1000 employees in offices in Newport Beach, New York, Singapore, Tokyo, London, Sydney, Munich, Toronto, and Hong Kong. Throughout PIMCO's 37-year history, they have been at the forefront in sectors like mortgage-backed securities and emerging market bonds. PIMCO remain's at the forefront today, pioneering the use of innovative solutions for their clients, including portable alpha and absolute return strategies. Folkestone is an ASX listed real estate fund manager and developer comprising of a range of real estate investment products across debt, equity, public and private markets. In April 2014, Folkestone acquired 100% of Maxim Asset Management, which was subsequently renamed as Folkestone Maxim Asset Management. The business objective is to develop into a leading specialist manager of A-REIT securities, with a focus on delivering strong risk adjusted returns through fundamental analysis and adhering to its high conviction process. Renaissance Property Securities is a privately owned boutique fund manager established in 2003. The principals, Carlos Cocaro and Damien Barrack, have worked together since 1998 - previously at Rothschild Australia Asset Management, and subsequently BT Financial Group. Portfolios are managed for institutional and wholesale clients, with the core aim to deliver outperformance for our clients over the medium to long term. Quay Global Investors (Quay) is a boutique investment manager focused on the preservation and creation of wealth through innovative strategies in real estate securities. Quay was launched in May 2015 as a partnership with principals Justin Blaess and Chris Bedingfield and Bennelong. Prior to this, the business operated as Quay Real Estate Advisors which was founded by Justin and Chris in 2013. The founding partners have over 40 years of collective experience in direct property, equities research, investment banking and investment management across domestic and global markets, giving them a unique skill set and perspective which they bring to the management of a portfolio of global real estate securities. Ophir is an independently-owned boutique investment manager, specialising in emerging and mid-cap growth companies. Ophir offer investors actively managed, benchmark-unaware investment strategies focused on identifying businesses with the ability to meaningfully grow and compound earnings over time. Each of the Ophir Funds are limited in their size to ensure the best possible investment structure for long term out performance. Spheria Asset Management is a fundamental-based investment manager with a bottom-up focus specialising in small and microcap companies. Spheria’s mission is to achieve strong investment returns for their clients with an emphasis on risk management. Keeping an open mind to potential investments is critical to their process and expanding their horizons to consider global influences gives them a powerful edge. OC Funds Management is a highly rated boutique small-cap Australian equities manager led by Robert Frost, which was established in 2000. The long-standing and well-resourced team, comprising three seasoned smaller companies investors, combines over 40 years of investment management experience with a proven bottom-up, benchmark-unaware approach that has delivered investors strong, long-term returns across all market cycles. Australian Ethical is Australia’s largest dedicated ethical investment and superannuation manager listed on the ASX with $2 billion in FUM. The firm’s investment charter seeks to support strong ESG business models that are ethically responsible and promote economic sustainability. More specifically though the Australian Ethical Charter is a series of statements that guide both the positive side (investments they seek out) and the negative side (investments they avoid) of their ethical approach. Investors Mutual Limited (IML) is a specialist Australian Equities Fund Manager, established in 1998. The IML’s investment mantra focuses on Value and Quality stocks and seeks to buy and own companies with a competitive advantage, recurring earnings, capable management and the ability to grow at a reasonable price. IML seeks to minimize downside capture by following a set of disciplined investment principals through all cycles, has a broad cap approach and is prepared to deviate from the index. Bennelong Funds Management (BFM) is a boutique fund manager nurturing a growing suite of asset management teams in Australian equities, global equities, long short and property. Alignment of the interests with clients and asset management teams is a vital part of the BFM approach to creating high-performing investment strategies and products. BFM is a wholly owned subsidiary of the Bennelong Group, a privately owned funds management and private equity business. Intrinsic Investment Management is a specialist manager actively managing high quality, concentrated Australian equities portfolios for institutional and individual clients. The investment team has on average 30 years of portfolio management experience, and brings a significant record of accomplishment and seniority within the industry. Utilising a 'style neutral' investment philosophy combined with a rigorous stock selection process, the strategy can manoeuvre within different market cycles and has demonstrated superior skill in alpha generation. April's Economic Update details the hold on interest rates by the RBA for now and Fed for the rest of 2019. Flat to positive strong growth in global stock markets. The March Economic Update details the RBA's decision to hold interest rates and the delay in Brexit and Trump vs China trade war... for now. The February update details fears of unheard rate cuts by the RBA, as initiated by the Fed, and China's weak yet not detrimental softening of GDP growth. The November update is dominated by the US's strong economic growth, rate hike fears and the overall positive prospect of global growth.